Q: What is the toilet situation in Mt. Pulag? Are there restrooms? Q: Is it safe in Mt. Pulag? I mean, are there NPAs there? Q: How rowdy can we be when we get to Mt. Pulag? Is there some code of conduct there? 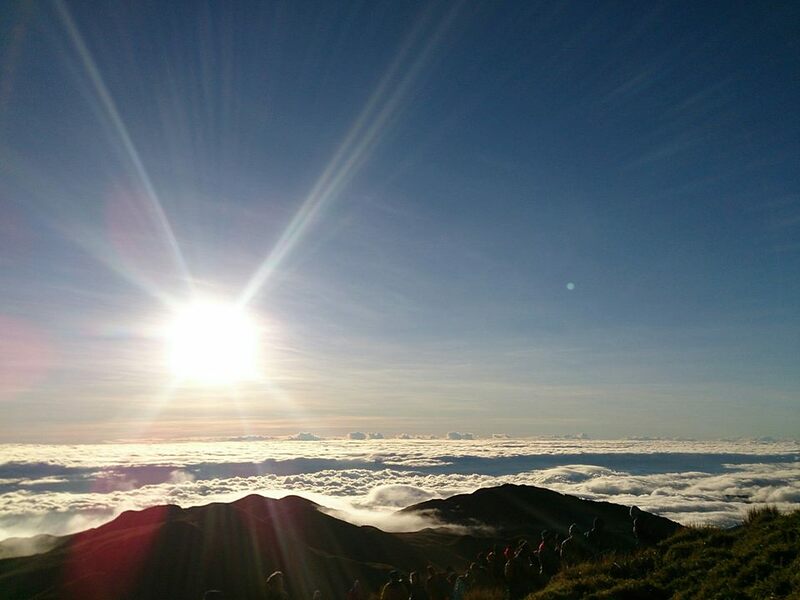 Q: Is there any guarantee we'll experience great weather and see a beautiful sunrise and be above the clouds when we get to Mt. Pulag? A: Nope, it's not THE highest mountain in the Philippines. That title goes to Mt. Apo in Mindanao. In Luzon, Mt. Pulag is tops - the highest in the Island. In the whole of the Philippines, it is only by some accounts, the 2nd highest mountain; others say, the 3rd. It's appearing more like the 3rd, but the DENR has made no official declarations yet on this. When is the best chance to experience Mt. 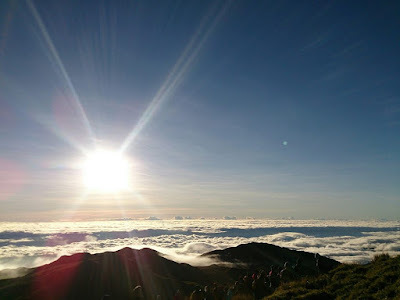 Pulag at its coldest: The coldest months are from December to February. It's actually colder around January to February (when most of the frosts and insane temps are reported). While the DENR will not be able to turn you away if you go there without pre-registration at a time when the mountain is already at maximum capacity and you had come all the way from Manila or elsewhere (they have a good heart), it is best for all of us to be responsible to inform them so that we do not stress out the mountain. It's all for everybody's good, and especially for the mountain which is a protected area. A: If you have sensitive tummy and cannot drink unfamiliar water, we advise that you bring at least 3 liters of your own water. The downside to that is that it can be heavy for you (unless you hire a porter). If you are not sensitive, you can just bring 1 liter container of water because there is plenty of water to refill your container along the way to Mt. Pulag. The water is clean, and probably the sweetest water you could ever taste as it comes straight from the mountain. It can't get any better than that. You can refill at the Ranger Station and at at least 2 spring water sources you will encounter along the way from the Ranger Station and towards Camp 2. A: The only real restroom is the one at the Ranger Station, and of course, it's very basic. At the mountain, particularly at Camp 2, there is an open pit planked by wood you can step on and around you for a bit of privacy. And that's as good as it gets. :) You have to have your own wet wipes or tissue. A: Personally, the coldest we've experienced is 2 degrees Celsius just last February 2011. Other accounts say it has gone as low as minus 8 degrees Celsius. Whether minus 8 or plus 8, that's still awfully cold. Never assume you will get the warmer weather when you go to Mt. Pulag. When you climb Mt. Pulag, come prepared, expecting the coldest temperature and the most rain so that you are well-equipped. A: Mt. Pulag is a sacred mountain and considered the dwelling place of the Gods of the natives there, as such, you may not smoke a cigarette or drink alcohol. The DENR Office will tell you that much during the registration/orientation. The alcohol can cause one to get rowdy and thereby disrespect not only the Gods but also the other campers. Moreover, it can compromise your coordination which you need for a climb that traverses sides of steep slopes. The cigarette, apart from irritating to the non-smokers who come to the mountain for the fresh unspoilt air, is a danger to the mountain as carelessly thrown cig butts can cause forest or grass fires. But the rule is honored more in the breach than in the observance, which is unfortunate. ClubTravelNOW.org is for strict adherence to the rule against alcohol and cigarettes. It is not only a sign of respect to the Gods of the mountain and of the native people, but also a measure to preserve the Mt. Pulag National Park which is a Protected Area. It is all consistent with the Leave No Trace Principle. A: If you only have a weekend, then a 2 Day trip is sufficient, like the weekend trips we organize - leave on a Friday night, back on a Monday morning. If you have much more time, at least 3 days is good, and we say start hiking from the DENR Office as the views from there to the Ranger Station are precious. You can also try the Akiki Trail, known as the killer trail, as it also requires at least 3 days. 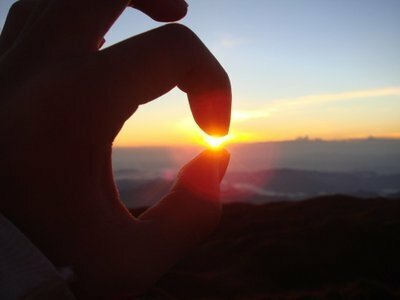 Others come only for the sunrise, that's why a weekend trip is sufficient, but you can stay longer to try the sunset too. You can opt to stay much much longer depending on how much time you'd like to take in all the view, know the place, and learn from the people. A: Mt. Pulag is sacred to the natives who call it home. Respect it. Treat it like coming to someone's home or place of worship. Treat it with care and with much respect. Moreover, Mt. Pulag is a National Park, a Protected Area, and is in the tentative list to be a World Heritage Site. It is too important to be treated with less than reverence. A: Nope, no guarantees. Mountain weather is fickle. (See Q: When is the best season to climb Mt. Pulag?) But if you come with the right attitude and with great company, you are guaranteed to have a great time nevertheless. As they say, "It is the journey, not the destination." A: I don't know how to say it in medical terms, but in my experience, as long as you have exercise at least 2 weeks prior to the climb (say able to walk/jog for 30 minutes at least 3 times a week), then you can survive Mt. Pulag. Even then, without exercise, you can hurdle Mt. Pulag. The exercise only serves to give you a much easier time and more chance to enjoy the view instead of always having to catch your breath. Of course, get clearance from your doctor first esp. if you have any medical conditions. Mt. Pulag is a National Integrated Protected Areas Programme (NIPAP) site. The Protected Areas Office of the DENR where you register before taking a hike collects environmental and conservation fees to help in protecting and maintaining the park. I am not sure how successful or effective they are in doing that, let's hope that they are. But if recent excursions to the mountain is any indication, where a mountain with a capacity of 120 people is filled to way more than capacity (400 according to the Ranger Station Head Guide Mang Larry), then there is cause to be worried. They can start with strictly enforcing the maximum capacity rule. Individually, what we can do is be responsible about informing DENR when we are going for a climb, and to follow the Leave No Trace Principle. See also: Q: How do you register with the DENR to get to Mt. Pulag? The Leave No Trace Principle teaches people how to enjoy the outdoors responsibly. Simply, it is captured in the nugget "Take nothing but pictures. Leave nothing but footprints. Kill nothing but time." The Leave No Trace Center for Outdoor Ethics actually promotes the ff. principles: (1) Plan Ahead and Prepare, (2) Travel and Camp on Durable Surfaces, (3) Dispose of Waste Properly, (4) Leave What You Find, (5) Minimize Campfire Impacts, (6) Respect Wildlife, and (7) Be Considerate of Other Visitors. See the elaboration on each of the principles at the LNT website.